In The Lord of The Rings, The Return of the King, March 25, 3019 marked the day the Ring of Power was destroyed and Sauron was defeated. 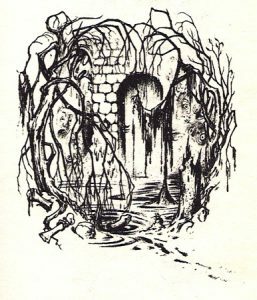 In ‘modern day’ 2017, March 25 marks the day Tolkien fans around the world, in groups or individually, read from their favorite works by author J.R.R. Tolkien. Tolkien Reading Day is a tradition stared in 2003 by the Tolkien Society. 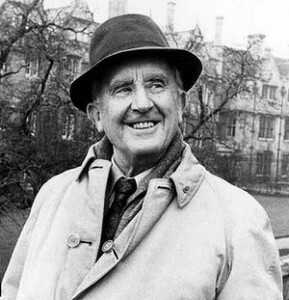 From their Tolkien Reading Day webpage: It has been organised by the Tolkien Society since 2003 to encourage fans to celebrate and promote the life and works of J.R.R. Tolkien by reading favourite passages. We particularly encourage schools, museums and libraries to host their own Tolkien Reading Day events. To celebrate this year’s Tolkien Reading Day, the Society is hosting an event a day of events at the Story Museum. As part of the day, the Society has obtained the permission of the Tolkien Estate for live storytellings of Mr. Bliss. For more information, visit this year’s event page. Each year, the Society selects a theme for the day, and this year’s theme is Poetry and Song. This opens up an amazing number of possibilities for reading for today. One of the most delightful aspects of The Hobbit, and The Lord of the Rings in particular, was how Tolkien interspersed poems and songs throughout the story. 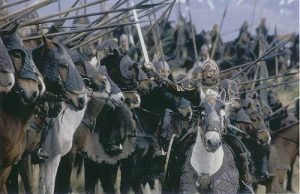 They added a depth of understanding of Tolkien’s characters and cultures that were unique to his works. in the tide lifting, its prow tossing. Makes me shiver every time! So, indulge yourself today! Get one (or more) of those Tolkien books from your bookshelf, crack it open,, and spend a few minutes (or hours), reading! If you’d like to join other fans, check out the Tolkien Society links above for planned gatherings. Which poem or song is your favorite? Which makes you smile? Which makes you sad? Which is your all-time favorite? Let us know!